When you think of Sir Ian McKellen if you’re a film and book buff, you think; GANDALF. But what you might not have known is that McKellen was considered for the role of Dumbledore after the actor from the first Harry Potter film, Richard Harris, passed away. McKellen, who was already playing Gandalf in The Lord of the Rings trilogy, revealed in a BBC interview that he refused to take on the role of Dumbledore. Why? Richard Harris, the original Dumbledore, once called McKellen “technically brilliant, but passionless.” Yikes! The role eventually went to Michael Gambon, who McKellan said, looks like him. Can you see McKellen as Gandalf and Dumbledore at the same time? Probably not. It would have been one too many franchises to be a part of…and I’m sure people would have been confused. 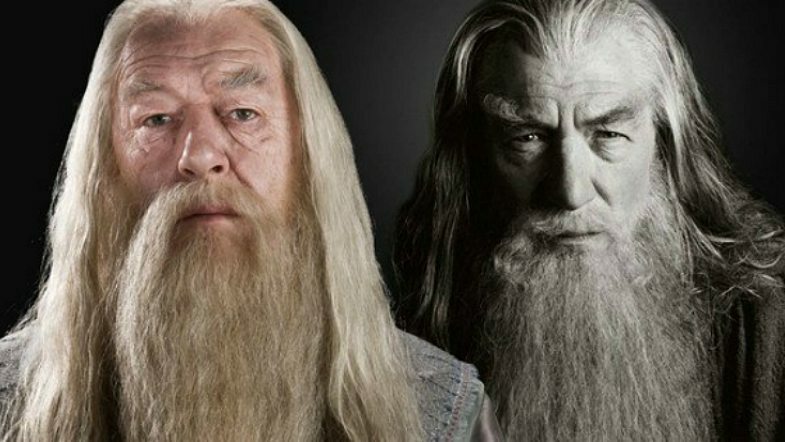 Dumbledore and Gandalf do look alike! They both have beards and they’re both wizards. Watch the full BBC clip here.